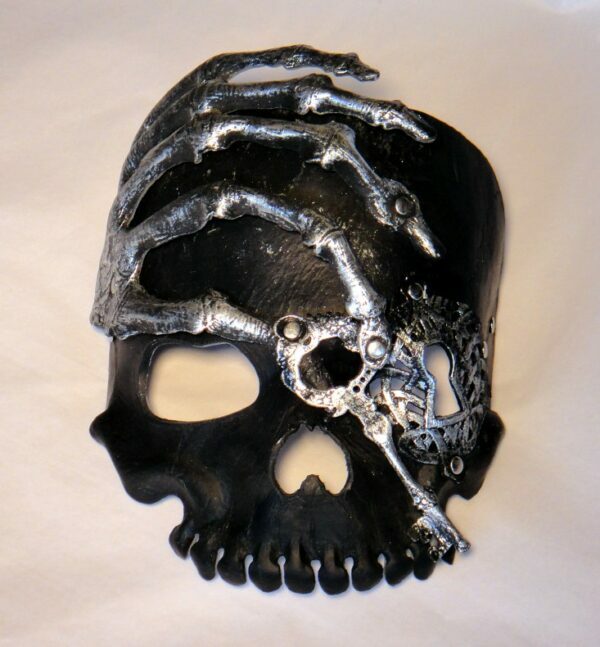 The most sinister Pirate Mask you’ll find anywhere. 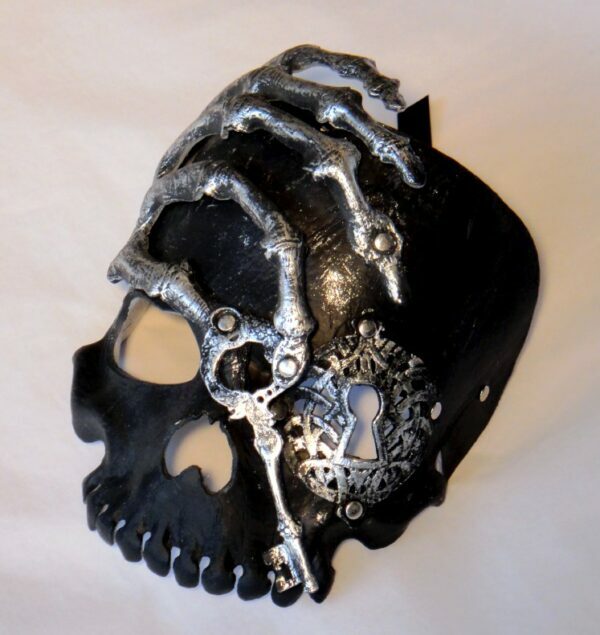 Lots of detail in this amazing Pirates Mask that includes the key to Davy Jones Locker. 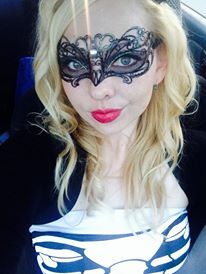 A patch over one eye is the key hole. 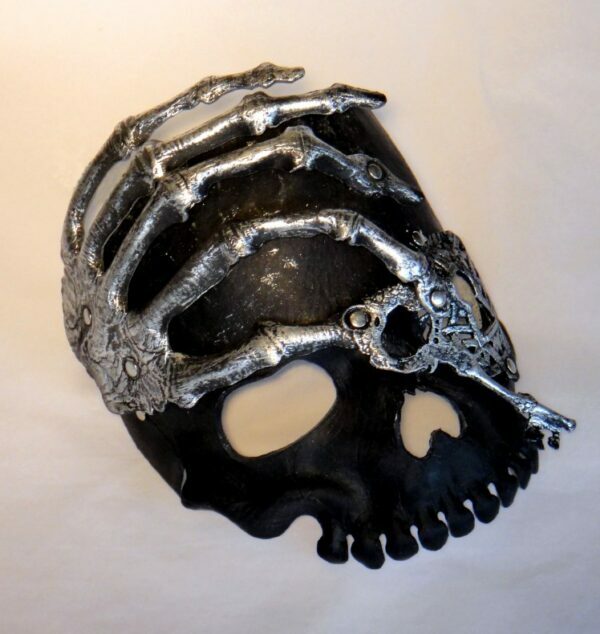 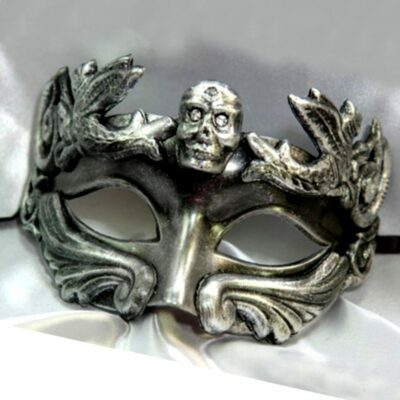 There is a skeletal hand in antique silver that adds a sinister quality to the mask. 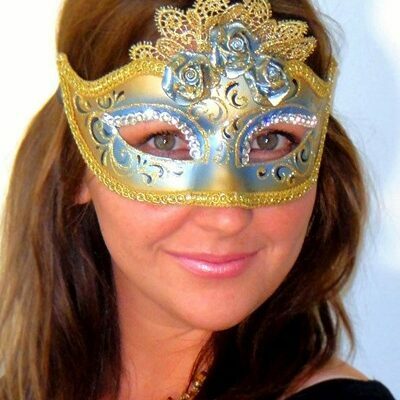 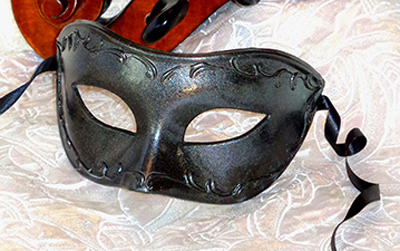 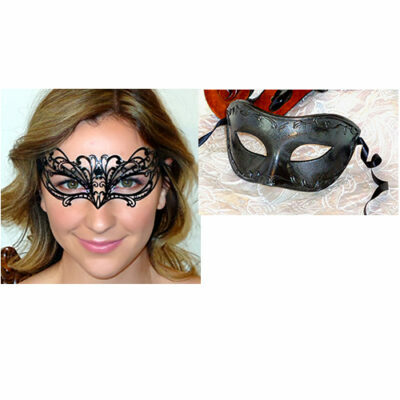 Ideal for Fancy Dress, Masquerade Ball or Halloween, your friends will be talking about this mask for ages. 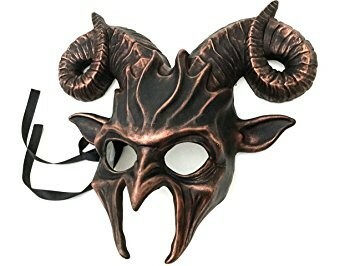 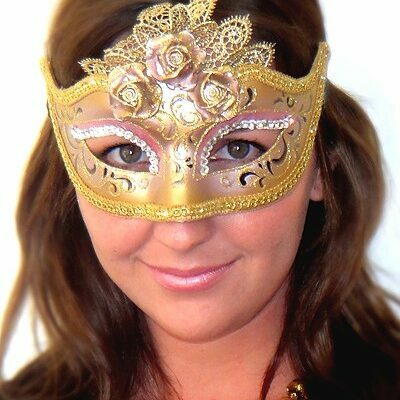 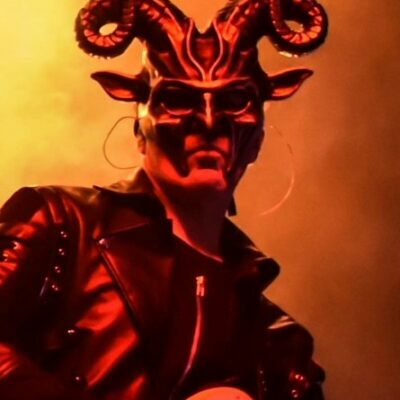 The actual mask feels like rubber, it is fairly flat and wraps around the face when the leather straps are tied around the face. 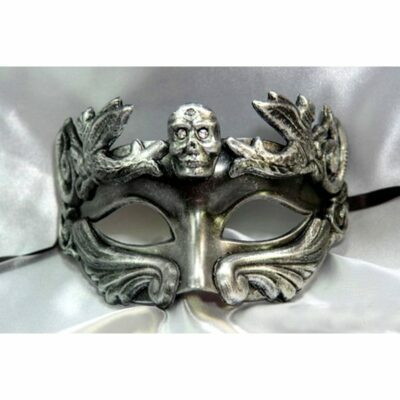 This mask is good quality, made in China.